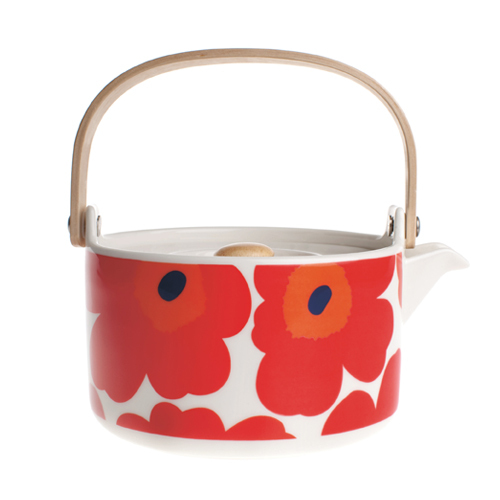 More about Marimekko Unikko Red Teapot It's teatime with Marimekko's Unikko Red Teapot. High-quality ceramic stoneware keeps liquids hot, while the removable strainer allows you to steep loose tea correctly. The smooth wooden handle keeps the heat at bay to allow for easy handling of hot tea and the beauty of this pot make teatime a treat! Great looking little tea pot, but I can not figure out a way to put the lid on while I have the basket for loose tea in place. 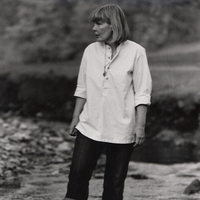 Perhaps I am overlooking something? ProsAttractive design, love the red poppies. Fine for tea bags. 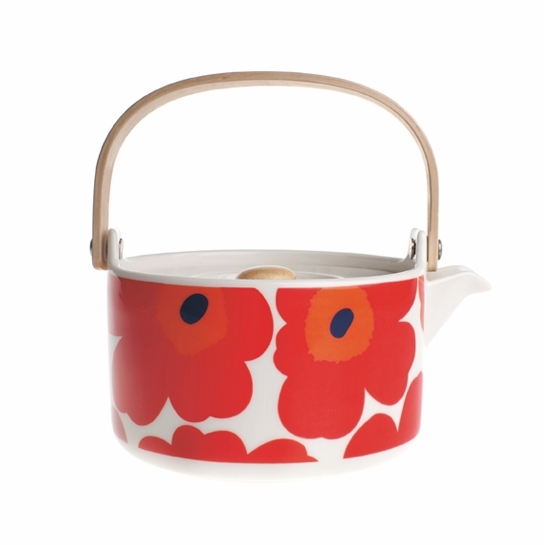 I was delighted with the Marimekko Unikko Red Teapot. I had waited awhile for it, and it was well worth it. ProsIt is well made and cheerful. ConsOne must note it is not a big pot.